KANSAS CITY, Mo. 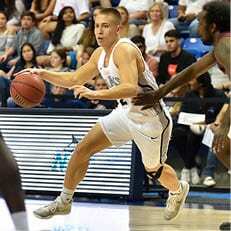 – One week after breaking into the National Association of Basketball Coaches (NABC) Top-25 poll for the first time in program history, Nova Southeastern made another significant leap on Tuesday, rising to No. 17 in the latest national rankings. The Sharks move up five spots following a dominant 99-58 win over St. Augustine’s this past Saturday. Now 3-0 overall, head coach Jim Crutchfield‘s team has been tough to slow during the early stage of the season. Nova Southeastern has not only posted the second-highest scoring mark in the country (111.0 ppg), but perhaps even more impressively, has forced a whopping 27.33 turnovers per contest – tops in all of Division II. Point guard David Dennis, the 2017-18 Sunshine State Conference Newcomer of the Year, has started fast once again by averaging 21.3 points and 7.0 assists. 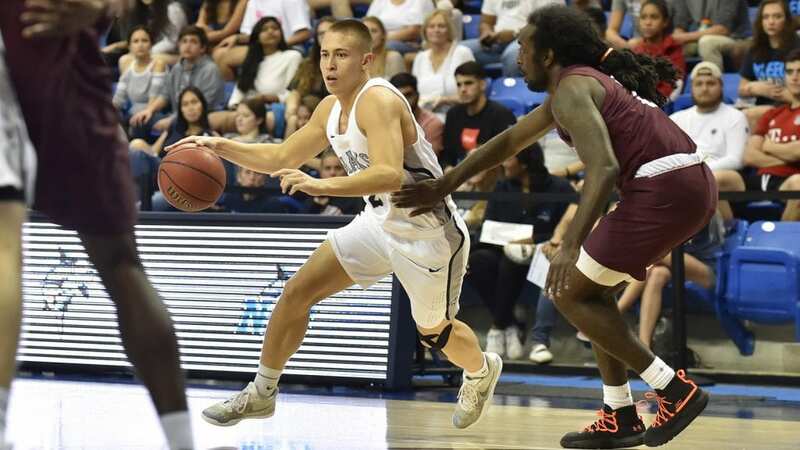 Meanwhile, Mark Matthews has made an early case to become the league’s next Newcomer of the Year, currently leading the SSC in scoring at a 22.3 points-per-game clip. The Sharks are one of three SSC programs among this week’s Top-25, joining 12th-ranked Barry and No. 21 Florida Southern. For the second straight week, Bellarmine was a unanimous selection for the nation’s top spot. Northwest Missouri State followed at No. 2, with Indiana (Pa.), Saint Anselm, and Southern Nazarene rounding out the Top-5. Nova Southeastern will open SSC action Wednesday at 7:30 p.m. in a showdown with Barry. 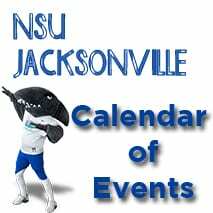 For complete coverage of the action, follow the Sharks on Twitter @NSU_MBasketball or visit the schedule page on NSUSharks.com.